here is a shot I swiped off the internet... sad but beautiful... Sorry... I can't remember the origin. 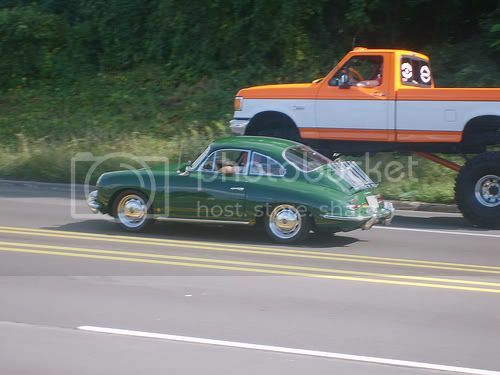 Oops... wrong forum... not a 356... but sure is cool looking! HiRes, Photoshop, 1962 B Coupe - mine. Canon 40D. I believe these two coupes reside in Europe somewhere. 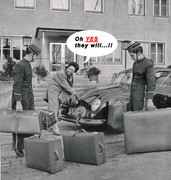 I think the pic was taken in Switzerland or Austria. I also can't remember where I got this pic from. I think those are photos from that collection where the guy is just letting 100's of cars slowly go back to the earth... sort of an art project or something. He won't sell anything. Mark Pribanic wrote: I believe these two coupes reside in Europe somewhere. I think the pic was taken in Switzerland or Austria. I also can't remember where I got this pic from. Eric Meyer wrote: I think those are photos from that collection where the guy is just letting 100's of cars slowly go back to the earth... sort of an art project or something. He won't sell anything. Yep, thats the place. 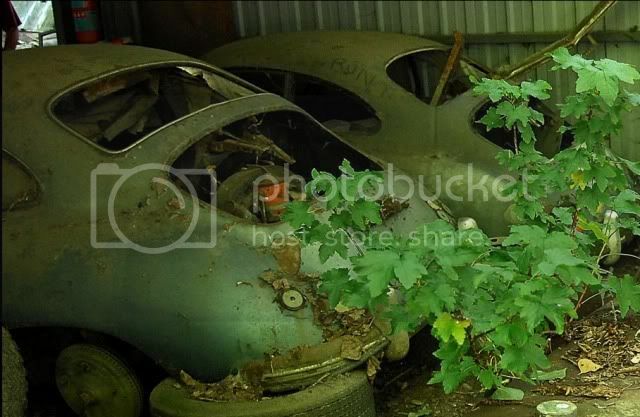 I believe there are several more 356's and some early beetles in that yard as well. How about this psychadelic 356? 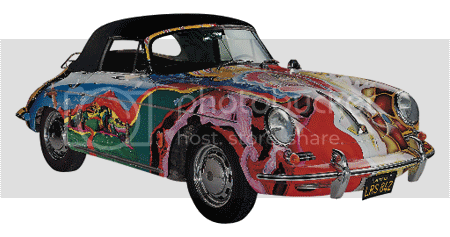 That's Janis Joplin's C-Cab - or one of the three 'replicas' of the car circulating around the globe. However, since it's sporting the correct front plate, maybe that's Janis's actual car. It was hand-painted by one of her pals. Then the car was stolen and painted Black. Later, after Janis died, the paint job was recreated. This made me laugh for a while.....I'm guessing this pic was taken either in Texas, Tennessee, Georgia or Florida. Found this pic on FlickR. photog cred to "this is nick"
All these rusting relics are breaking my heart. Let's go back to the HiRes section, shall we?